While Valve take a moment to roll about in the success of the 2014 Dota 2 International, Riot Games are feverishly chopping and changing ahead of the League of Legends World Championships. Patch 4.13 cuts wide, not deep: its remit is absolutely everything. There’s only one part of the patch that’ll apply to absolutely everyone: faster match loading. Riot reckon we’ll see a speed improvement in the region of 10-30%, especially on older machines. Elsewhere, the developers have made an effort to reorganise the item store and make buying upgrades a little more intuitive. And they’ve improved matchmaking in Team Builder, such that it now takes into account player experience with the champion, position and role they’ve selected. Clever stuff. But the core game hasn’t been left unchanged. There’s no part of the typical team makeup in League of Legends that hasn’t been altered in this update. Fighters, marksmen, supports, mages and assassins have all been nipped or tucked in some fashion. For fighters, nerfs to Elise, Evelynn and Lee Sin are the headline changes. These three junglers have been “very suffocating in organised games”, say Riot. Over in support-land, Braum and Thresh have become “must-pick” champions, and Riot don’t particularly like that. “We feel that once we reduce the consistency of these champions, there are a lot of viable picks just waiting to spring into action,” they said. So that’s what they’ve done. Greater strategic diversity has been the goal, too, behind early game nerfs for markspeople Kog’Maw, Tristana, or Twitch, and low-scope buffs to some “almost there” mages and assassins. Struggling to know who the best picks are for a new role? 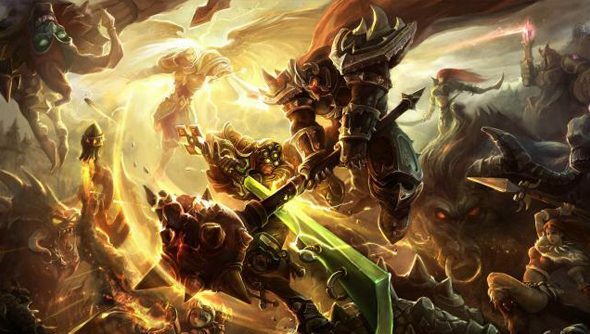 Our list of the best League of Legends champions for beginners ought to help.